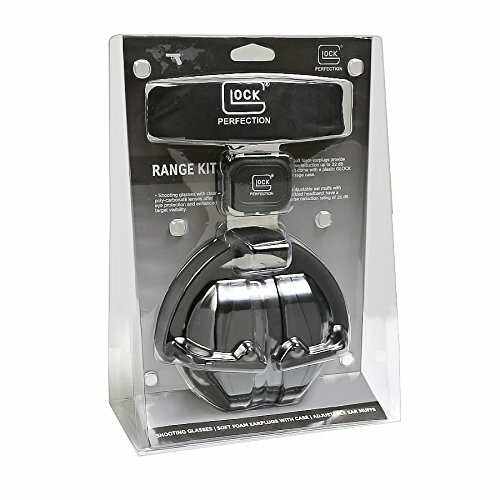 The GLOCK Range Kit is the perfect addition for any range day. Constructed of durable, water-resistant 600 denier polyester, the GLOCK 4-Pistol Range Bag provides protection and easy access to your pistols, ammo, magazines and safety equipment. The front of the bag contains a zippered pouch for safety glasses, ear protection, water bottle and personal items. The back side contains a covered magazine storage compartment that can accommodate 6 double-stack or 12 single-stack magazines. The GLOCK 4-pistol range bag is easy to carry around with the padded grip around the carrying handles or over the shoulder with the 2" wide carrying strap. If you have any questions about this product by Glockrfection logo on outside, contact us by completing and submitting the form below. If you are looking for a specif part number, please include it with your message.